The capital city of India, Delhi is endowed with a rich history. 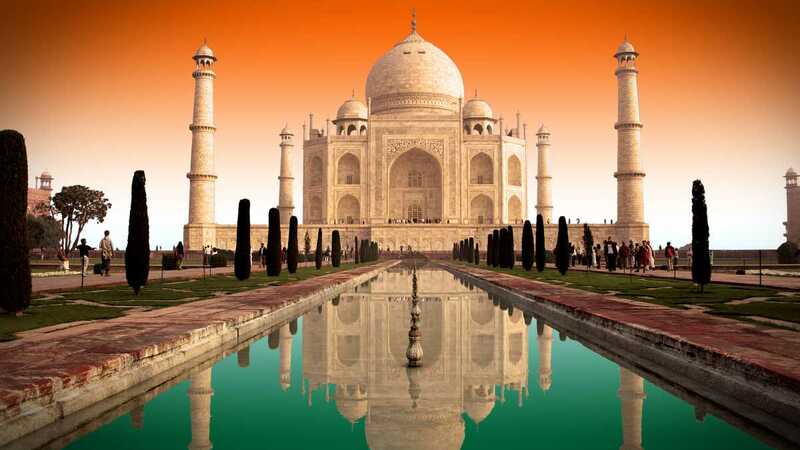 Not only is it dotted with rich history in the form of forts, monuments, and mosques, but it also stands as a symbol of both historical India and modern India. It comprises Old Delhi, which is old and unplanned, and New Delhi, which is just the opposite. They are juxtaposed together but present different faces to the world. Still, there’s a lot to see in both parts of this enticing, thrilling and exciting city. Let’s enjoy The Top 10 sightseeings in Delhi with Japji travel. 1. Qutub Minar: The world’s tallest brick minaret at 73 meters, the Qutab Minar is an amazing piece of architecture belonging to the early Indo–Islamic age. It signifies the dominance of the Muslims in Delhi after defeating the last Hindu ruler. It has five stories with balconies projecting outwards. The first three floors are made of red sandstone and the remaining two of marble and sandstone. Qutub-ud-Din Aibak began building it in 1193. Whereas he built only the basement, three floors of this structure were built by his successor Iltutmish and finally Firoz Shah Tughlak completed the last two floors. As it stands today, we see different kinds of architectural styles in this monument. 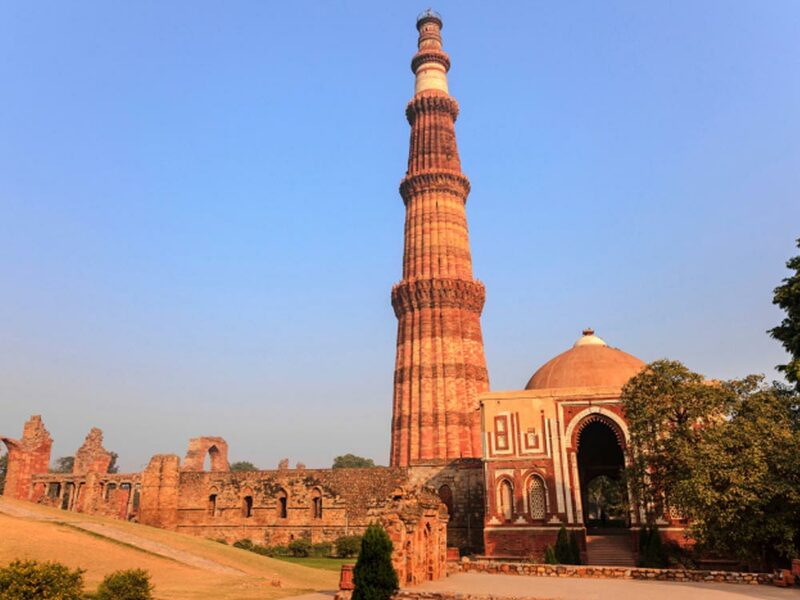 The Qutub Minar complex also comprises the Quwwat-us-Islam Mosque, an iron pillar seven meters high and Iltutmish’s tomb called the Ala’i-Darwaza, and the Ala’I Minar. It is located in south Delhi’s Mehrauli, and is open every day, morning to evening. 2. Lotus Temple: The Lotus Temple is also called the Bahai Temple as it is shaped like a lotus flower. When lit up at night, it looks really beautiful. Made from concrete and covered with white marble, this is the temple of the Bahais who believe in the unity of all faiths. There’s a lot of serenity here as people meditate and pray in total silence. All are welcome. It is located near Nehru Place, South Delhi. Lotus Temple is open all days of the week, except Mondays, 9 am to sunset. 3. Humayun’s Tomb: The inspiration of this tomb was the Taj Mahal at Agra. Built in 1570, it is home to Emperor Humayun’s mortal remains. This was the first of all the Mughal architecture that was created in India. After this, the Mughals built a lot of beautiful structures all over India. The tomb is part of a greater complex that’s set among four beautiful gardens called Char Bagh. Humayun‘s Tomb is located in Nizamuddin East, New Delhi. It is open every day, morning to evening. For the best view, it should be viewed in the late afternoon. 4. Red Fort: The most famous monument in Delhi, the Red Fort stands as a symbol of two different things at two different periods in history. One, it symbolizes the power of the Mughals during their golden era and later, it stood as a symbol of the country’s freedom struggle. Built by Emperor Shah Jehan when he shifted his capital from Agra to Delhi in 1638, this fort has been at the center of turbulent times when it was captured by the Sikhs and the British. This fort, in all its history and mystery, is revealed to us in an hour-long sound and light show every evening. Not to be missed. It is situated opposite Chandni Chowk, Old Delhi and is open every day except Mondays, from morning to evening. Rajghat: This is the mausoleum of Gandhiji, the Father of our Nation, created after his assassination in 1948. It is both his memorial and cremation ground. Around the mausoleum are manicured lawns with pathways of red stone. This area also houses memorials of other national leaders such as Pandit Nehru, Lal Bahadur Shastri, etc. Dignitaries from all over the world pay their homage to Bapuji.Red Fort is situated at Ring Road. It is open on all days of the week except Mondays, from 10 am to 5 pm. ChandniChowk: The main street of Old Delhi, Chandni Chowk is in stark contrast to the neatly organized roads of New Delhi. Here, traffic is chaotic with cars, hand-pulled carts, animals, people and cycle rickshaws vie for space on the road. This makes the road congested, but for whoever comes here, it’s absolutely amazing and endearing. This was said to be the oldest and then busiest Indian markets. Today, you can find inexpensive electronics, jewellery and clothes, and artefacts. You can also go to the equally old eateries here and eat some of Delhi’s delicious street food. The well-known hotel, Karim’s, is also situated here. Chandni Chowk is located near the Jama Masjid and Red Fort. JamaMasjid: Yet another treasure from Delhi’s spectacular trove of its Old City is also India’s largest mosque, known as Jama Masjid. The mosque was completed in six years, in 1656. Its courtyard has a capacity of 25,000 devotees. By climbing to the top of its tower, you can get a spectacular view across Delhi’s rooftops. Visitors must dress appropriately to enter this mosque, which includes covering your head, shoulders, and legs. It is situated opposite Chandni Chowk, Old Delhi. It is open all days of the week from 7 am to noon, and 1.30 pm to 6.30 pm. India Gate: The India Gate’s towering archway in the middle of the city is actually a war memorial, built to commemorate those Indian soldiers who laid down their lives during World War I. When lit up at night, its glow is absolutely beautiful. India Gate gardens are a popular place to enjoy summer fun. It is located near Rajpath. BirlaTemple: It is also known as Laxmi Narayan Temple. Birla Temple is an important landmark in Delhi, apart from being a huge tourist draw. It was built by businessman J.K. Birla in 1939. The reigning deity in this temple is Laxmi, the Goddess of prosperity along with Narayana, the Preserver. It was inaugurated by Mahatma Gandhi on condition that people of all castes would be allowed to enter it. It is open all days and is situated near Gole Market, Mandir Marg, and Connaught Place. Bangla Sahib: It is one of the most well known sikh house of dehi. Bangla sahib is known for eighth sikh guru krishan. There is a pool inside it which is known as “Sarovar”. A kitchen and a school and art gallery is also situated there. People belongs all religions may eat in the gurudwara kitchen. Gurusikhs prepared food and volunteers serve food to people. You have to cover hair and remove shoes while going there. It is situated at Baba Kharak Singh Marg of New delhi. At japjitravel.com we have luxurious car, bus, taxies for comfortable and safe journey. Our drivers are experienced with having a valid driving licence. If any problems find in the respective vehicle as you travelling through, we will send another vehicle there ASAP for your travel. We have also guide for you if you want he/she can travel with you to give you a complete knowledge regarding the place. We are always price reasonable and there is a discount price for new customers. For old customers it isn’t compulsory to give advance. Most important point is there we behave our visitors as our family members and never try to cheat them. That’s why a lot of customers hire our travelling service. To know more visit us today through our website or mail us. Also give a phone call at 09810833751 , 09213641453 , 01125778684 for instant booking. This entry was posted in Delhi, Tourist Attractions and tagged attractions in delhi, delhi city tour, delhi sightseeing, top 5 places in delhi. Bookmark the permalink.